When we hear about the impact that the DPP has on people’s lives, we are excited to encourage others to bring the DPP to their own community. How exactly do you do that? It’s just like what we tell people about managing diabetes: “Make a plan. It’s not easy, but it’s worth it.” You can do it by building your skill set and using available tools to develop a sustainable program. Diabetes is common, serious and costly. One in three U.S. adults is estimated to have prediabetes. Up to a third of the 86 million people with prediabetes are on the path to develop Type 2 diabetes within five years. That gives us a lot of people to reach and an urgent timeline in which to do so. Fortunately, we can do something about it now. The DPP is an evidence-based lifestyle intervention program that has proved effective. When overweight/obese people with risk factors for Type 2 diabetes lose 5 to 10 percent of their body weight, they reduce their risk of developing Type 2 diabetes by 27 percent over the next 15 years.1 Intensive behavior change improves eating habits and physical activity while building problem-solving and coping skills. Trained lifestyle coaches facilitate educational sessions and physical activity opportunities and provide feedback. They help participants set personalized goals, work toward physical activity and weight loss targets, and track progress through self-monitoring of diet and activity. Motivational interviewing is a key technique for coaching participants through behavior change and making sure they are doing it for reasons that are important to them. The delivery of the DPP has gone from research to community settings. The scope of the DPP has evolved to have a wider reach and a bigger impact so that more people with prediabetes can affordably access this service. The DPP is now a 12-month, group-based program with one-hour weekly or biweekly sessions during the first six months, followed by monthly sessions in the remaining six months. Lifestyle coaches may be laypersons or public health or health-care professionals, but all must receive a 16-hour training approved by the Centers for Disease Control and Prevention (CDC). In 2008, Montana developed the DPP infrastructure based on the diabetes self-management education model. We knew that knowledgeable and skilled educators have valuable connections with referring providers and would be able to implement it well. Diabetes educators also have an intrinsic passion for improving the health of others that keeps participants committed and improving. Montana DPP sites now include diabetes self-management education programs, hospitals, critical access hospitals, federally qualified health centers, local health departments, tribal health departments and a state employee health center. Sessions are delivered onsite, at a satellite site or remotely via telehealth videoconferencing technology. From 2008 to 2015, more than 7,500 participants enrolled in the DPP in Montana. Nearly all (94 percent) completed four or more sessions, and by the end of the program, 63 percent achieved the 150 minutes-per-week physical activity goal, 47 percent lost 5 percent of their body weight and 34 percent lost 7 percent of their body weight. The average weight loss per person was 12 pounds. 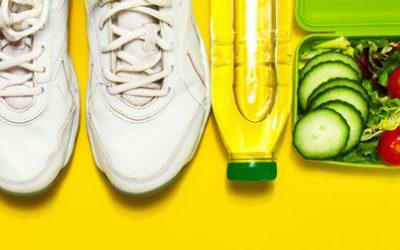 Participants also improved their cardiometabolic risk factors, such as fasting blood glucose, A1C, blood pressure, total cholesterol and triglycerides—many achieved normal levels, and fewer needed to take medication to control them. Montana Medicaid has seen value in providing the DPP to its members and reimburses for DPP services. In addition, for state employees, the state of Montana has delivered a DPP class through its health center and offered participants discounted monthly insurance premiums. As a diabetes educator, you already bring passion and a wealth of applicable knowledge to prevention work and the fight against diabetes. Raise awareness of prediabetes—to patients and their families, providers and the community—and encourage participation in the DPP. Become a trained lifestyle coach in the CDC-approved curriculum. For more information on how to become certified, visit https://www.cdc.gov/diabetes/prevention/lifestyle-program/staffing-training.html. Implement DPP classes in your community. Use your provider relationships to get referrals. Apply for recognition by the CDC Diabetes Prevention Recognition Program (DPRP). Monitor outcomes and evaluate impact on people’s lives. Share your experience with the DPP. Personal stories are very powerful. Staffing. Programs generally commit 0.5 FTE, often between two staff members. Will you have the resources to train your staff as lifestyle coaches? Trained lifestyle coaches facilitate a CDC-approved DPP curriculum in a group setting, have a basic understanding of nutrition, exercise and behavior change principles, support goal-setting and positive group dynamics, collect data, and empathize and communicate effectively with participants. Program logistics. If your program will exist within a larger organization, what might be required prior to start-up? What parts of your program might be provided by another department, i.e., scheduling, billing, medical records, labs, use of a meeting room, etc.? Participants. What strategies do you have in place to recruit eligible participants to your program? Funding. Does your organization have funding sources for the DPP such as grants or the ability to bill and collect reimbursement? Retention. To achieve favorable retention rates, establish retention strategies prior to implementing your program. During initial assessment, discuss the level of commitment needed to complete a year-long program. Is the potential participant currently motivated to make lifestyle changes and put forth the effort for 12 months? Include variety in the program such as cooking demonstrations, grocery store tours and guest speakers. Track participants’ weight loss and provide progress reports. Give the group opportunities to participate in session planning. Organizations must enroll into Medicare as MDPP suppliers; at the time of enrollment, an organization must have full recognition by the CDC Diabetes Prevention Recognition Program (DPRP). All lifestyle coaches facilitating the MDPP must obtain and maintain an active and valid National Provider Identifier. Organizations must submit to CMS a roster of all coaches’ names, Social Security numbers and NPIs. Eligibility of MDPP beneficiaries may differ from the eligibility requirements outlined by DPRP (pending final CMS rulemaking). Reimbursement may be tied to session attendance as well as participants achieving 5 percent weight loss after the first six months of the program (pending final CMS rulemaking). Currently, Montana and Minnesota provide Medicaid reimbursement for DPP; many other states are actively working to establish Medicaid reimbursement. Medicaid is specific to each state; therefore, an organization should contact its state Medicaid office to determine whether DPP is a covered benefit, and if so, what billing code is used and what provider types are approved to bill under their NPI. The DPP produces more than improved health outcomes and cost savings. The lifestyle change program helps people feel better and build the energy and confidence to do things that they would have otherwise been unable to do. Plus, it not only benefits the individual participant, but also positively impacts families and communities as a whole. Montana DPP Interactive Story Map: http://arcg.is/2rMKF9q. View our sites, interactive data, places to find exercise opportunities and fresh food, stories submitted by participants and lifestyle coaches, and additional resources, publications and links. 1. Diabetes Prevention Program Research Group, Nathan DM, Barrett-Connor E, Crandall JP, Edelstein SL, Goldberg RB, Horton ES, Knowler WC, Mather KJ, Orchard TJ, Pi-Sunyer X, Schade D, Temprosa M. Long-term effects of lifestyle intervention or metformin on diabetes development and microvascular complications over 15-year follow-up: the Diabetes Prevention Program Outcomes Study. Lancet. 2015;3:866-875. 3. Li R, Qu S, Zhang P, Chattopadhyay S, Gregg EW, Albright A,Hopkins D, Pronk NP. Economic Evaluation of Combined Diet and Physical Activity Promotion Programs to Prevent Type 2 Diabetes Among Persons at Increased Risk: A Systematic Review for the Community Preventive Services Task Force. Ann Intern Med.2015;163:452-460.